Sometimes you want to spend time all alone, without company and unwanted conversations. 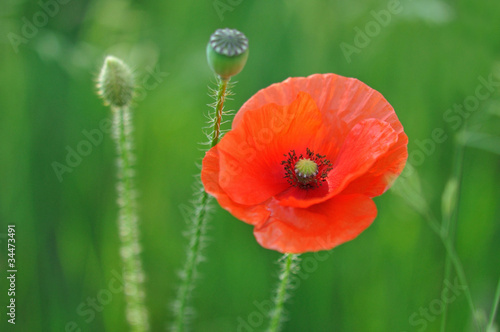 Just like the poppy which grows alone among greenery, you want to get away from reality. Focus on yourself and don’t think about anything else. Forget just for a minute. Let the photo wallpaper with a poppy motif decorate your flat interior to help you clear your mind and body.